It’s Bibi again. 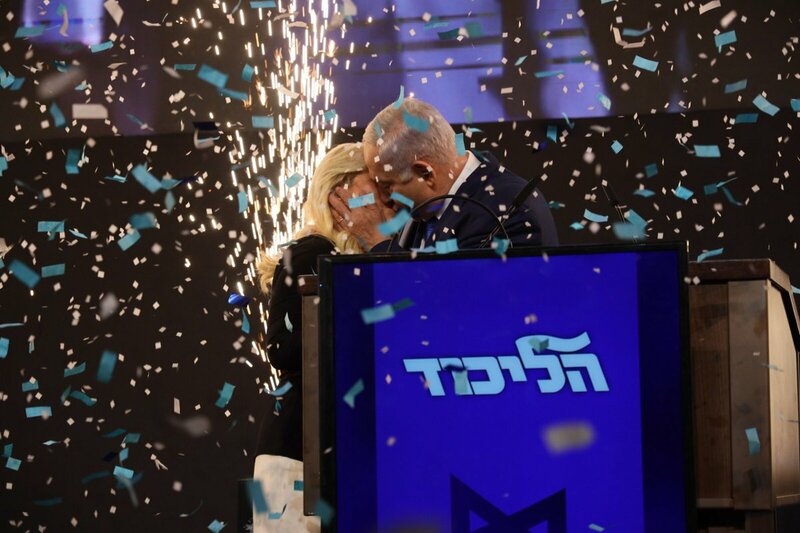 Having unapologetically allied with a racist, Jewish-supremacist party, Benjamin Netanyahu has secured a fourth consecutive term as Israel’s prime minister. The Union of Right Wing Parties says Netanyahu promised it both the education and the justice ministries, and who are we to doubt it? 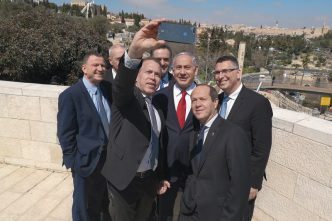 Along with Netanyahu’s other right-wing allies, the URWP is already backing a new law that would protect the prime minister from being indicted on pending corruption charges. Israel’s parliamentary election has consolidated the country’s position within a growing bloc of illiberal democracies around the world. Once again, Netanyahu has won by mobilising the people against the very state institutions that he’s supposed to uphold and defend. In this election cycle, he shamelessly lambasted the judicial system and the police for doing their jobs. He attacked the media for uncovering improper behaviour by his family and cronies. He pilloried public intellectuals for refusing to acknowledge his greatness. And he depicted the old Zionist ‘left’ as traitors. As for the Arab parties, they lost around 25% of their seats, owing partly to voter abstention. 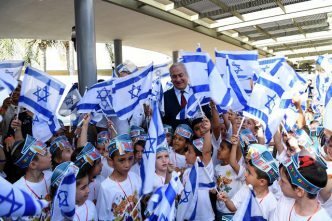 With Netanyahu having pushed through a ‘nation-state law’ declaring the pursuit of ‘national self-determination’ in Israel ‘unique to the Jewish people’, Israel’s Arab citizens apparently are through lending credibility to a sham democracy. 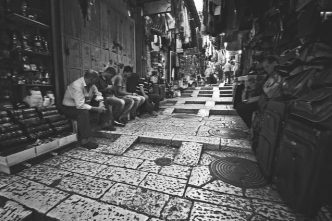 Throughout the campaign, they were treated as political lepers by practically every segment of the Israeli body politic. The Israeli left, in particular, has been exposed as a bankrupt political project. In fact, Netanyahu’s Israel has swung so far right that the term ‘leftist’ itself is now a smear. Both his party’s main challenger, the centrist Blue and White alliance, and the Labor Party have run away from the label. And both not only lacked the courage to stand up to Netanyahu’s maligning of Israeli Arabs as enemies of the state, but also refused even to consider forming a parliamentary alliance with Arab parties. On the Arab question, liberal Zionists have acceded to Netanyahu’s project of making Israel into a one-race, one-party state. 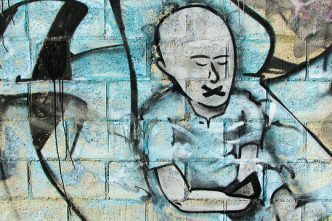 All told, the election amounts to a monumental indictment of Israel’s democracy. In a campaign dominated by personal smears and disinformation, not one substantive issue was debated seriously. It was as if the consequences of Netanyahu’s cruel neoliberal policies—a weakened welfare state and squeezed middle classes—didn’t matter at all. Nor was there any discussion of the unproductive Orthodox community’s dependence on state subsidies, which have grown substantially under Netanyahu. 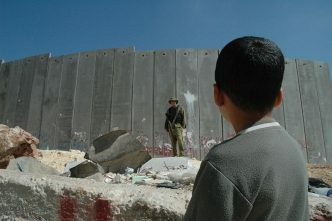 And then there’s the elephant in the room: the Palestinian question. Fearing the loss of conservative votes, the left and centre parties didn’t make a single convincing statement—let alone offer a policy program—to address the greatest existential and moral challenge facing the country. Yes, candidates on the left paid lip service to the problem, and Benny Gantz, the colourless leader of Blue and White, muttered something about the need for a ‘diplomatic move’ with respect to the occupied territories, but that was it. In fact, US–Israeli relations were another key issue that went almost unmentioned in the election campaign. Never mind that Netanyahu’s alliance with Trump and American evangelicals has cost Israel the support of a growing portion of the US Democratic Party establishment, or that his blank cheque to the Israeli Orthodox community has alienated America’s predominantly liberal Jewish community. After Beto O’Rourke, a contender for the Democratic presidential nomination in 2020, warned that Netanyahu is a ‘racist’ who is damaging America’s special alliance with Israel, Israelis responded by extending that racist’s grip on power. Throughout the campaign, Netanyahu touted his foreign-policy record. In addition to cosying up to illiberal Eastern European governments and Brazil’s new right-wing president, Jair Bolsonaro, he claims to have bolstered Israel’s economic clout in Asia, made diplomatic breakthroughs in Africa, and forged covert partnerships with neighbouring Arab countries, not least Saudi Arabia. And here, too, Netanyahu’s opponents dropped the ball. They could have pointed out that his goal in brokering new partnerships is to head off international opposition to his planned annexation of Palestinian territory. Instead of using Israel’s diplomatic relationships to work towards an acceptable solution to its primary existential challenge, he has exploited them for his own chauvinist agenda. Sadly, the election leaves no doubt about what awaits Israel in the coming years. A cabal of Netanyahu cronies and family members, racist messianic settlers, and Orthodox parties with opportunistic designs on the state budget will drag Israel towards a new single-state reality that will resemble apartheid South Africa. If there is any consolation, it is that the Israeli left and centre—from Meretz and Labor to the Arab parties and Blue and White—still collectively represent almost half of the electorate. A bold leader who is willing to fight for Israel’s soul could prevail, but only by unapologetically allying with Israeli Arabs. That is not just the best electoral strategy. It is also the right thing to do. Shlomo Ben-Ami, a former Israeli foreign minister, is vice president of the Toledo International Center for Peace. He is the author of Scars of war, wounds of peace: the Israeli-Arab tragedy. This article is presented in partnership with Project Syndicate © 2019. Image courtesy of Benjamin Netanyahu on Twitter.